This week saw Club members visit one of the hidden gems of the Mearns. Saved from ruin forty years ago by Bill Cowie and his family, the Castle has been their home and a work in progress ever since. Members were full of admiration for their dedication and efforts to conserve this local gem from Scotland’s past. 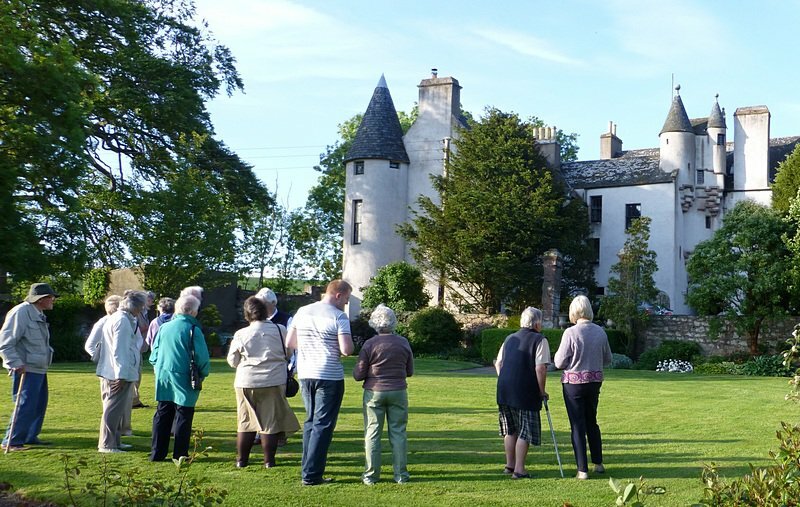 Heritage club members admiring Allardice Castle (click for larger image).